According to Priyanka, Bryan Adams had a ‘certain daal-chaawal (humble)’ quality Bryan Adams/Courtesy: Guess, Inc.
On Monday, 24 January 2011, there was an income-tax raid at Priyanka Chopra’s apartment... At 7.30 am, when the officers rang the bell to her apartment, the door was opened by a ‘sleepy Shahid Kapoor, who was wearing nothing but shorts’. In January 2001, a 37-year-old Indian woman living in Dubai came up with a bombshell allegation. She claimed that she was sexually abused by Priyanka’s father, Dr Ashok Chopra, when she was 12 years old. In a lengthy interview with Savvy magazine, the woman — Shivani Saxena — alleged that the repeated incidents of abuse happened when Dr Chopra was posted in Ferozepur, UP, where he worked as a junior officer under her father, Dr Suresh Chandra Saxena. There were unsettling sordid details in the allegation. It was during the Kaminey shoot that Priyanka reportedly became close to Shahid Kapoor. Shahid’s much public relationship with Kareena Kapoor ended while the two were still making Imtiaz Ali’s Jab We Met (2007). That would also be Shahid’s most successful film to date. Karan: So did the chemistry steam after that? Shahid: Once we started talking. We hadn’t spoken until then. Priyanka: I think we have had and we still do. Karan: And that will continue? 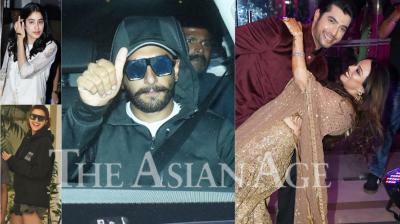 ...Next month on Monday, 24 January 2011, there was an income-tax raid at Priyanka Chopra’s apartment. 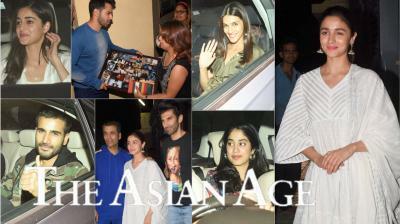 (There was also a simultaneous raid at Katrina Kaif’s apartment.) As the practice goes, the income-tax officers gathered in their office at 6 am and were then led by senior officials to Yari Road. It was only fifteen minutes before the raid was conducted that the officers and the accompanying police were told which apartment and whose apartment they had to enter. At 7.30 am, when the officers rang the bell to Priyanka Chopra’s apartment, the door was opened by a “sleepy Kapoor, who was wearing nothing but shorts”. In the late summer of 2015, I began to notice a phenomenon — first in the New York City subway stations, then on buses and at bus stands. There were large images of Priyanka Chopra across New York City — staring at us, an FBI badge against her pink full lips. The word “QUANTICO” was typed in bold capital letters across Priyanka’s face. Friends started mentioning seeing the same posters in Los Angeles, Florida, Chicago, Washington DC and elsewhere in the US. I saw a huge billboard in downtown Toronto. A friend even informed me that he saw the same ad behind a bus in Shanghai. 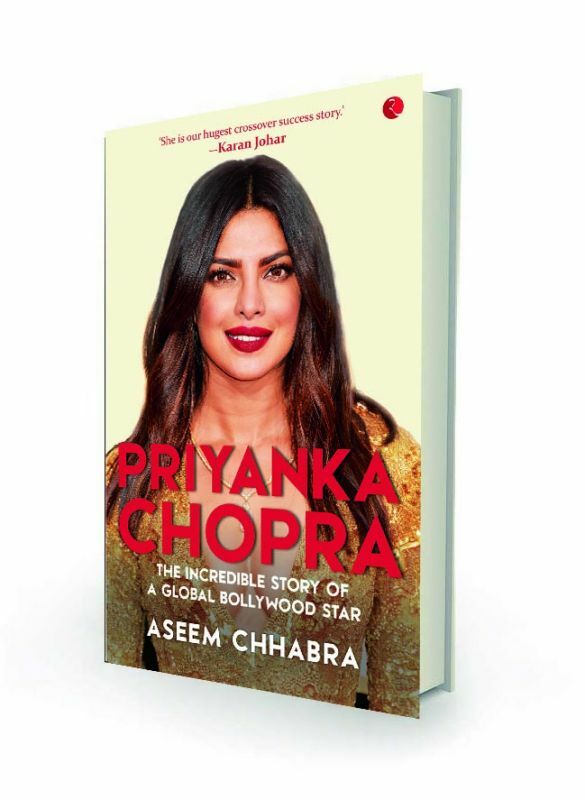 One day, during the shooting of the show on the steps of the New York Public Library on Fifth Avenue, a crowd had gathered and people were taking pictures of Priyanka. Entertainment Weekly’s reporter Shirley Li, who was there to cover the shoot, heard this conversation between two women. “Who is it?” Shirley heard the first woman ask, as she pushed to get a better look.